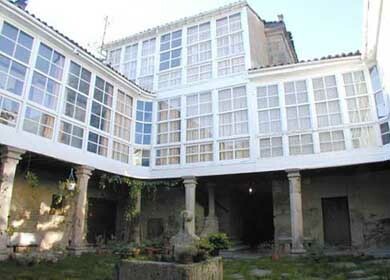 The Casa Grande de Trives was built in the 17th Century by D Antonio Perez Mercero and Doňa Catalina Rodriguez Nieto. 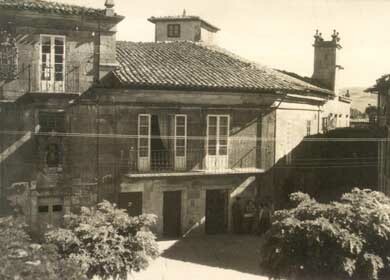 Since then the house has had a mixed history, reflecting not only that of the family but also of Trives and Galicia. Like all Galician Manor houses it's highest moments came in the 18th Century, it's demise started at the end of the 19th century and by the 20th it was abandoned. 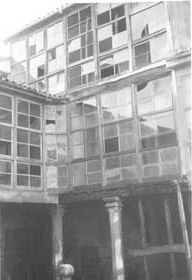 In 1969 it lost a major part of it's structure including stables and out houses. Finally, after many years of law suits the house was returned to the hands of descendants of the original family. The house was in semi ruin but the intrepid new owner decided to give it a new lease of life and opened, what was then virtually unknown in Galicia, a Guest House, or Casa Rural. 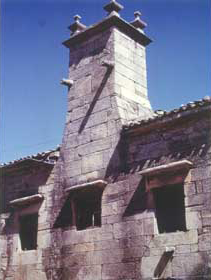 The house has preserved most of it's façade, with two balconies, on either side of a tower on which is represented the family coat-of-arms. There is also the door into the family chapel, in which, historically, members of the family were married. Over the centuries the family inter married with all the important local families. The genealogy of the family as well documents pertaining to the right to the Coat-of-arms are held in the local archives.The arms represent those of the families of; Dominguez,Gayoso, Quiroga and Losada. Amongst the historically famous members of the family were; Don Juan Ramon Quiroga y Uria who was the General in charge of the army fighting the Army of Napoleon in Galicia and Valdeoras during the Peninsular Wars. 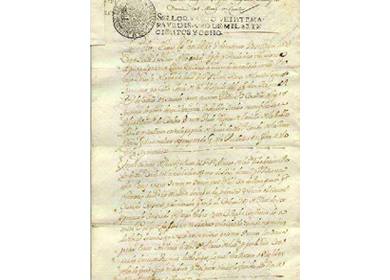 Also his brother Don Juan Bernardo Quiroga y Uria who was a Deputy in the Parliament in Cadiz at the same time and, as such, he signed the Spanish Constitution which dates back to this time.